It’s hard not to see doom and gloom in the sedan segment. We’re assaulted with stories about the rise of the crossover and about automakers killing their sedan ranges on what feels like a daily basis. In reality, though, cars are still big business, with sales of small, medium, and large models (including hatchbacks) representing 3.4 million units through November of 2018. And as some brands flee, Nissan is sticking around. 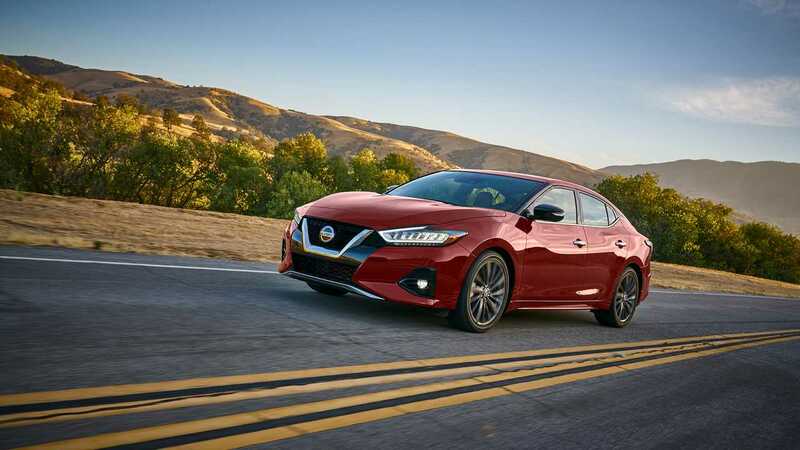 Nissan is confident the Maxima’s refresh is just that, and is casting a wide net to attract customers ranging from Millennials to Gen X shoppers to Baby Boomers. Exterior changes are subtle but effective. 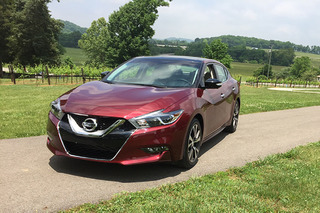 The Smyrna, Tennessee-built sedan now features Nissan’s latest “V-motion” design scheme, like what the brand first introduced on the 2019 Altima. 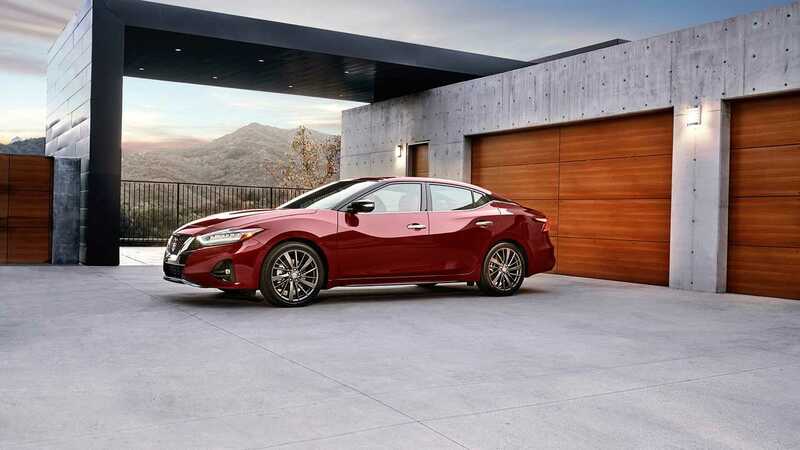 The Maxima’s refreshed front-end features a bolder grille design and more assertive front fascia that better emphasizes the body lines that flow across the hood and along the sides of the car. For even more visual contrast, Nissan swapped out some body-color elements in favor of piano-black or chrome trim. 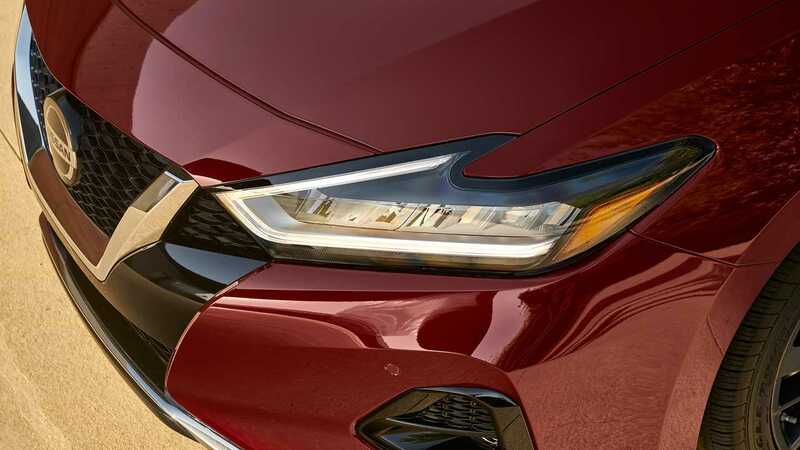 New LED headlamps, an accentuated “boomerang” look to the tail lights, and quad-exhaust tips integrated into the rear fascia all add an extra dose of elegance to the updated Maxima. There are two new wheel designs, as well, one of which is exclusive to the new top-end Platinum Reserve trim. Both were designed to look lighter (although whether there’s any reduction in unsprung weight is unclear), with contrasting paint to give the effect of thinner spokes. Grab the new Sunset Drift Chromaflair paint if you want the best highlight for the new wheel design and body work. 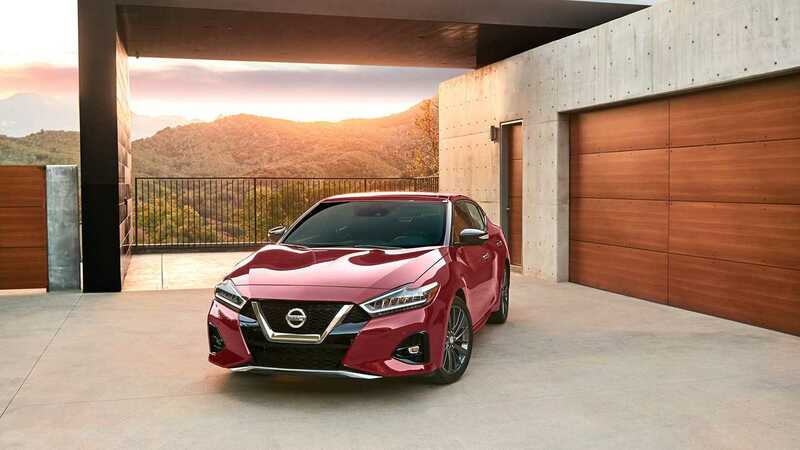 Only the most sharp-eyed observers will notice the cabin’s main design change: Designers concentrated the Maxima’s contrasting accent colors in certain areas rather than throughout the cabin. 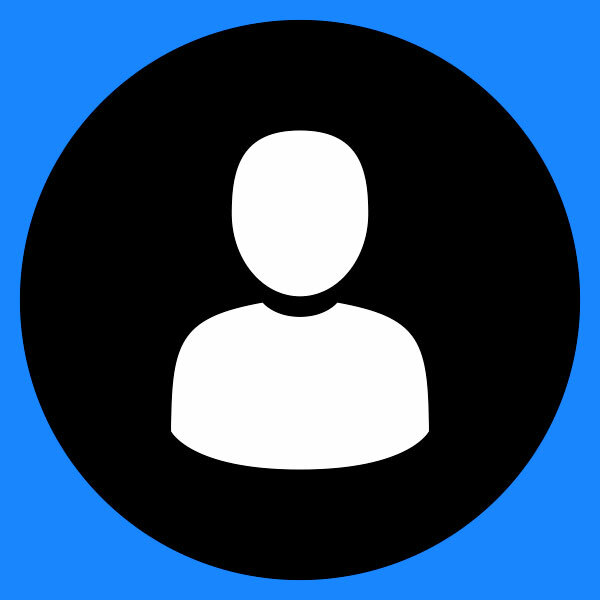 It’s a nice touch, even if it’s hard to spot. There are two new interior color options, and, again, one – Rakuda Tan – is exclusive to the new Platinum Reserve model. The Maxima borrows the hide color from the GT-R supercar and then adds a quilting pattern unique to the Maxima. 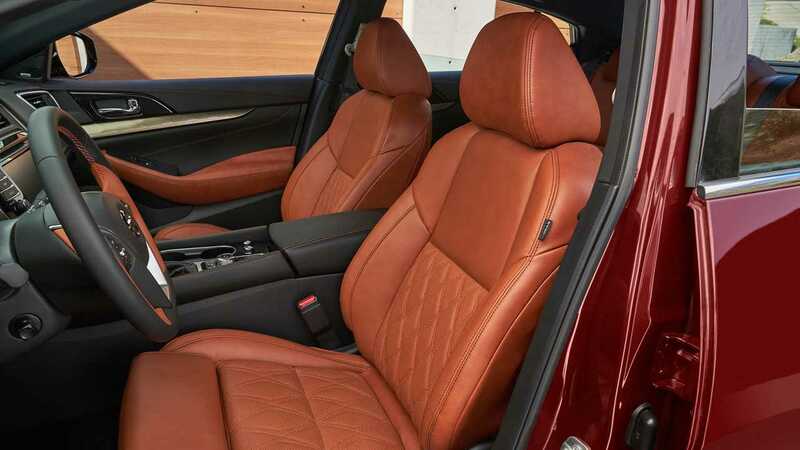 The Rakuda Tan leather is nice and looks good inside the car, but the color clashed with our test car’s Carnelian Red (burgundy) exterior. The Maxima also adds some new optional safety tech. Nissan’s Safety Shield 360 suite of active safety features is made up of forward collision warning with automatic emergency braking and pedestrian detection, automatic high-beam headlights, rear automatic braking, lane-departure warning, blind-spot monitoring, and rear-cross-traffic alert. (Aside from AEB and blind-spot monitoring, these features are new for the latest Maxima.) While this package is optional on the 2019 Maxima, it will eventually become standard equipment on most Nissan vehicles in the next few years. Maxima customers tend to be more interested in the driving experience than Altima buyers, according to Nissan. 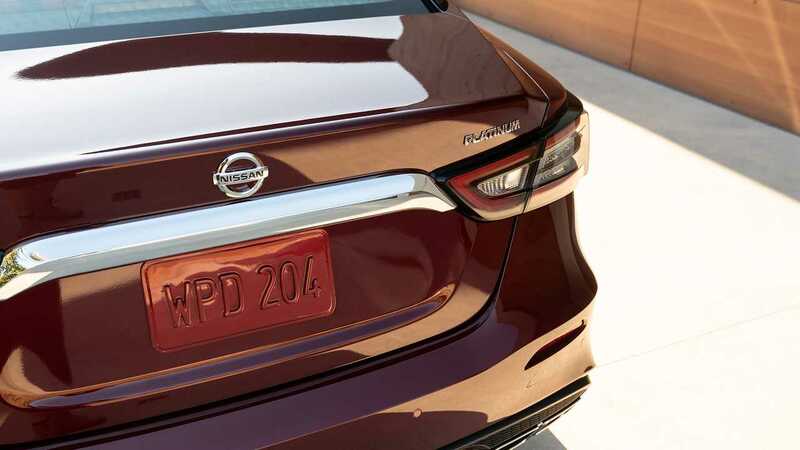 Standard on every 2019 Maxima is “rear door alert.” The feature, designed after a Nissan engineer forgot a lasagna in her back seat, uses “door logic” (rather than weight or some other kind of sensor). Open the rear door before making a trip and the Maxima notes that you probably put something back there. When you end the trip and park, the Maxima waits for the for the rear door to open again. If it doesn’t, a chime sounds reminding you to check the back seat. Other new features include a standard driver alertness monitor that judges steering inputs to determine whether the driver is starting to doze off, traffic-sign recognition, over-the-air software updates, Google Assistant connectivity, and standard USB-C ports for fast charging. 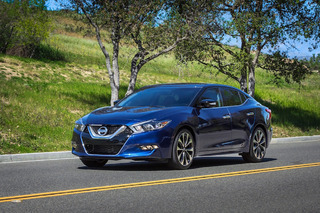 Maxima customers tend to be more interested in the driving experience than Altima buyers, according to Nissan, and, based on our drive, the Maxima does effectively bridges the gap between affordable mid-size sedans and their premium counterparts. Still, calling the Maxima a “four-door sports sedan,” as Nissan’s marketing suggests, is a bit of an exaggeration. That said, the seats are fantastic, supportive and easy to adjust. The front chairs are easily a highlight in the cabin. In a sedan this big, visibility is often a concern, the driver gets a good view of the road thanks in part to the numerous seat adjustments (particularly the height adjustment). For all of Nissan’s talk about the Maxima’s athleticism, the powertrain carries over unchanged. Every Maxima gets a 3.5-liter V6 engine that sends power to the front wheels by way of a continuously variable transmission (CVT). The engine is good for 300 horsepower and 261 pound-feet of torque – solid numbers for this class. Acceleration is smooth and easy, and there’s plenty of power for merging and passing. But the Maxima falls short of the “four-door-sports sedan” title Nissan keeps hanging on it. If you’re going with the flow of traffic, and largely staying within the speed limit, the Maxima cruises happily. 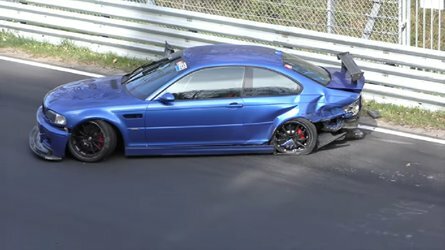 But push harder, and the seams start to show in the relaxed way it accelerates, particularly compared to turbocharged competitors and their abundant low-end torque. That said, the free-spinning nature of the V6 and CVT does make our ears happy. That said, the free-spinning nature of the V6 and CVT does make our ears happy. Push the Maxima through curves and the sedan plants itself into the turn with minimal body roll. Still, the Maxima is no sports sedan, and while it’s a willing enough partner on dynamic sections of tarmac, the big sedan never entices its driver to push any harder than necessary or test its lateral limits. 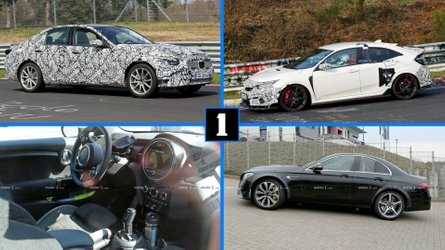 More responsive steering might help – this is supposed to be a “four-door sports sedan” after all – but adding any more heft to the Maxima's tiller might also turn-off buyers that simply want stylish big sedan. The Maxima comes in five trim levels for 2019: S, SV, SL, SR, and Platinum. 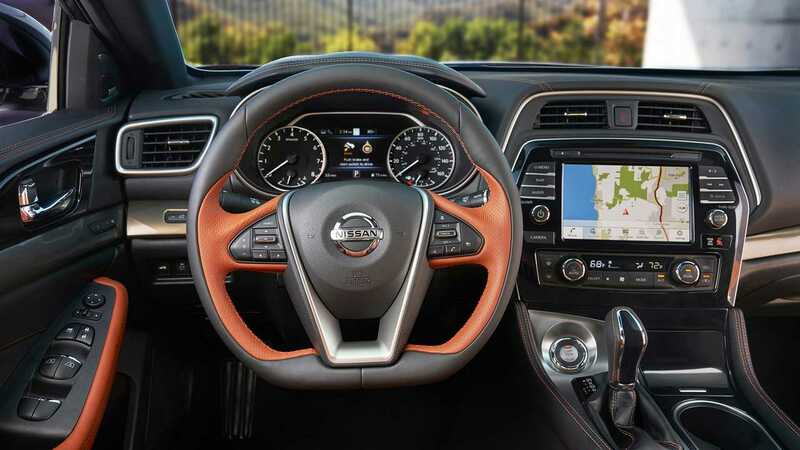 All models from S ($33,950) and up include the NissanConnect infotainment system with an 8.0-inch touchscreen display, Apple CarPlay and Android Auto connectivity, and Bluetooth. Automatic emergency braking is standard, as well, although the pedestrian detection element isn’t standard until the SR and Platinum trims. The SV trim ($35,960) adds leather upholstery and navigation. The SL ($38,440) includes a two-panel panoramic moonroof and a Bose audio system. 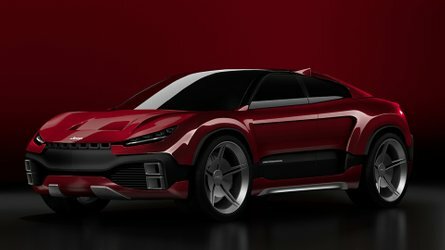 The SR model ($39,530) adds sportier suspension tuning, paddle shifters, a rear spoiler, and gloss-black 19-inch wheels. With the top-end Platinum ($41,440) comes premium leather, an around-view camera system, NissanConnect telematics services, and the aforementioned Nissan Safety Shield 360 package. 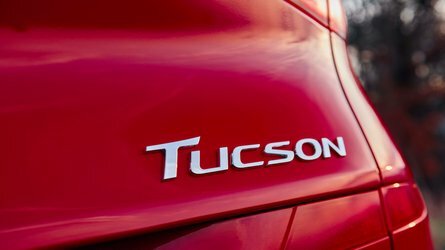 So, if every model gets the same powertrain and a generous list of standard features, are there any compelling reasons to trade up to the Platinum? The range-topping trim we drove was comfortable, no doubt, but most of our favorite elements, like the two-pane sunroof, are available on lesser trims. The Safety Shield 360 package is impressive, but it’s kind of annoying to pay extra for it now when Nissan promises it’ll be cheaper in a year or two. Our test model also had the Reserve package ($1,140) which includes the GT-R-inspired upholstery, heated rear seats, and an exclusive wheel design. Perhaps a minor gripe, and maybe it wouldn’t matter to most potential buyers, but the Reserve package includes a diamond-patterned piece of satin bronze trim across the dashboard. 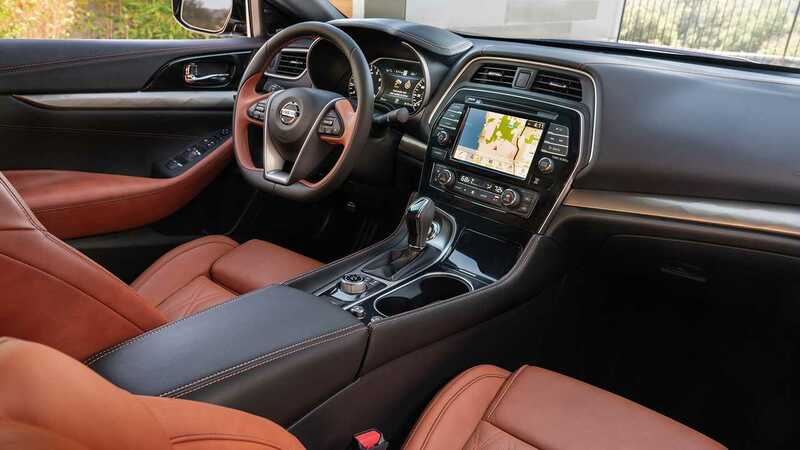 It didn’t complement the leather color or contrast stitching – a perfect example of “less is more.” Otherwise, we had few complaints about the Maxima’s cabin. Right now, the Maxima is in a good spot. 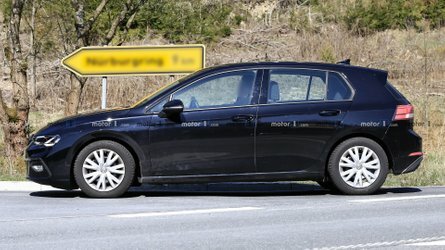 Sure, sedan sales are down – based on the 37,000 units sold so far in 2018, the Maxima is facing a sizable dip following the nearly 68,000 units sold in 2017 – but competition like the Ford Taurus and Chevrolet Impala are on their way out of the market, while rivals like the Dodge Charger are growing old. Only the Toyota Avalon remains as a significant rival. That means the field is wide open for the Maxima to capture sales from its retreating rivals. 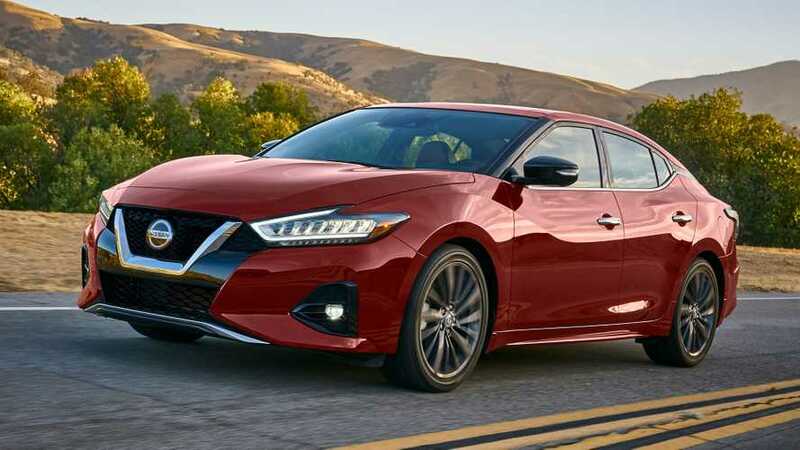 The 2019 Nissan Maxima goes on sale later this month.